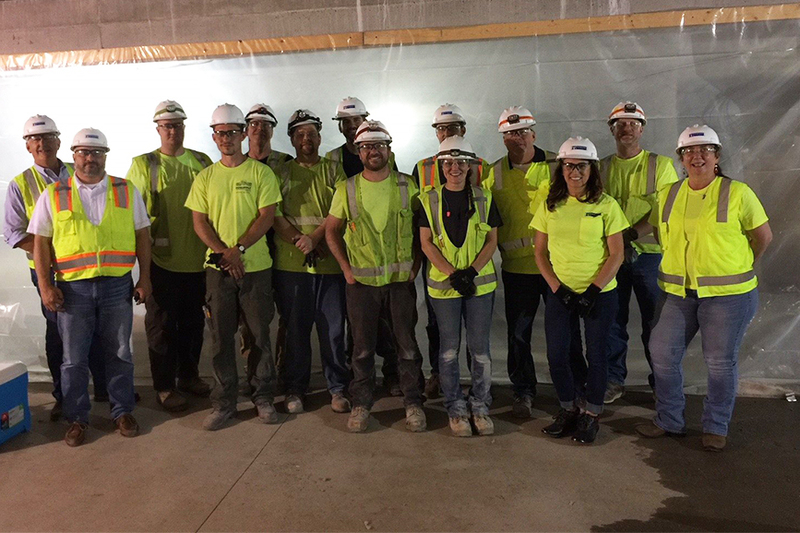 OlympiaTech Electric was recently recognized by Adolfson & Peterson Construction for its safety initiatives on the Minneapolis Public School’s Adult Education Center project by awarding OlympiaTech with its 1st Quarter Subcontractor Safety Award. The Adolfson & Peterson team presented the award to the OlympiaTech during a presentation held in OlympiaTech’s office on Thursday, May 31, 2018. Adolfson & Peterson was very impressed with the leadership and safety processes and procedures set forth by General Foreman Jesse Peterson as well as the dedication to safety illustrated by the entire OlympiaTech project team. Adolfson & Peterson’s safety award program recognizes subcontractors who are committed to maintaining safe working environments on their project job sites. Each quarter, the general contractor solicits nominations from its internal project teams and one subcontractor is selected to receive the award.